Clinical implications of chronic infection arise from periodontal disease as a risk factor for rheumatoid arthritis. For more background on the relationship between PD and RA and its clinical implications, Rheumatology Advisor interviewed Nidhi Sofat, MBBS, PhD, from the Center for Infection and Immunity Research at St George’s University of London, United Kingdom. Dr Sofat was co-author of a 2016 meta-analysis on the association between RA and PD. Rheumatology Advisor: The relationship between RA and PD has been investigated for many years. Why is it of enduring interest? What are the potential outcomes of more knowledge on this topic? Dr Sofat: Historically, the link between PD and RA was of interest because of anecdotal evidence of people with gum disease and poor dentition being at higher risk for RA. In more recent years, the scientific link between PD and RA has been better established, with larger studies investigating the association of PD with RA from different populations around the world. There are also some data to suggest that chronic infection arising from PD may be a risk factor for RA. Rheumatology Advisor: What are the treatment implications of this relationship for rheumatologists caring for patients with RA? Should the presence of PD affect treatment approaches? Dr Sofat: In our clinics, we assess the dental health of patients, using questionnaires, and recommend further review by a dentist/periodontal specialist if the patient is at higher risk. It has been shown in some small studies that better control of PD can affect improved outcomes in RA. Rheumatology Advisor: How does treatment for PD influence the disease course in RA, and vice versa? Dr Sofat: Early detection, diagnosis, and treatment of PD is likely to reduce the infection burden and help maintain patients in remission. Other studies have suggested that some of the enzymes that cause development of autoimmunity in RA (antibodies to citrullinated peptides) may arise from pathogens in the oral cavity; therefore, maintaining good oral hygiene and dental health in the first place may prevent the development of autoimmunity. Larger longitudinal studies are needed to determine this. Rheumatology Advisor: What recommendations would you have for further research on this topic, based on your review? Dr Sofat: Future research is needed in which interventions for PD are best for improved RA outcomes, and more studies in people with PD who have not yet developed RA, so we can identify which risk factors (eg, genetic and environmental) predispose them to developing RA. 1. Thilagar DS. Rheumatoid arthritis and chronic periodontitis – a disease link. J Pharm Sci. 2017;9:4. 2. Nagpal R, Yamashiro Y, Izumi Y. The two-way association of periodontal infection with systemic disorders: an overview. Mediators Inflamm. 2015;2015:793898. 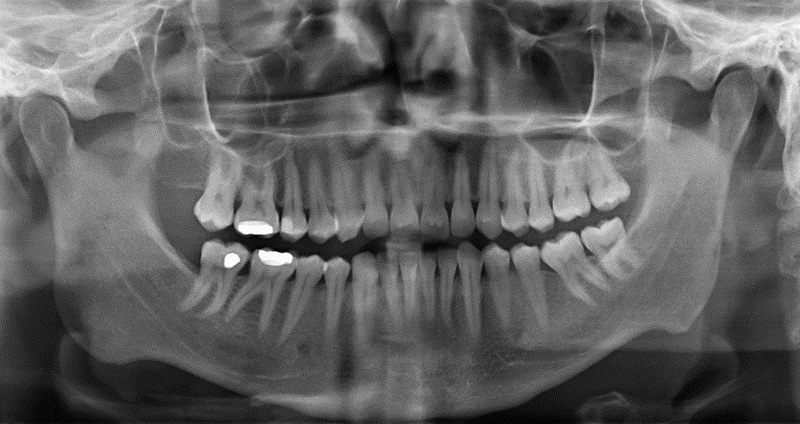 3. de Pablo P, Chapple ILC, Buckley CD, Dietrich T. Periodontitis in systemic rheumatic diseases. Nature Reviews Rheumatology. 2009;5:218. 4. Fuggle NR, Smith TO, Kaul A, Sofat N. Hand to mouth: a systematic review and meta-analysis of the association between rheumatoid arthritis and periodontitis. Front Immunol. 2016;7:80. 5. Donley TG. Time to put periodontal disease on the list of chronic inflammatory diseases contributing to premature atherosclerosis. CMAJ. 2019;191(2):E52-E52. 6. Araújo VMA, Melo IM, Lima V. Relationship between periodontitis and rheumatoid arthritis: review of the literature. Mediators Inflamm. 2015;2015:259074. 7. Corrêa MG, Sacchetti SB, Ribeiro FV, et al. Periodontitis increases rheumatic factor serum levels and citrullinated proteins in gingival tissues and alter cytokine balance in arthritic rats. PLoS One. 2017;12(3):e0174442. 8. Kobayashi T, Yoshie H. Host responses in the link between periodontitis and rheumatoid arthritis. Curr Oral Health Rep. 2015;2:1-8. 9. Olsen I, Singhrao SK, Potempa J. Citrullination as a plausible link to periodontitis, rheumatoid arthritis, atherosclerosis and alzheimer’s disease. J Oral Microbiol. 2018;10(1):1487742. 10. Li R, Tian C, Postlethwaite A, et al. Rheumatoid arthritis and periodontal disease: what are the similarities and differences? Int J Rheum Dis. 2017;20(12):1887-1901. Close more info about Periodontal Disease and Rheumatoid Arthritis: How Are They Related?